LOOKING TO BE A PART OF HOUSTON'S ELITE SUMMER COLLEGIATE TEAM? Come and join us for a game soon! All players Boys & Girls welcome. So come and join us for a game real soon! Copyright © 2015 Westchase Express, Inc. All rights reserved. 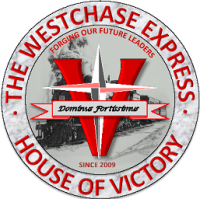 WCE Coporate Mailing Address: Westchase Express Inc.
WCE Coporate Physical Office Address: Westchase Express Inc.